Gumasa Beach, located in the coastal town of Glan in Sarangani province, is a popular beach destination in this southern part of Mindanao. Accessible by land from General Santos City, Gumasa Beach is an ideal day trip destination for tourists visiting the Tuna Capital of the Philippines. The 60km provincial road offers a scenic two-hour drive through coconut plantations with a view of the Sarangani Bay at the background. 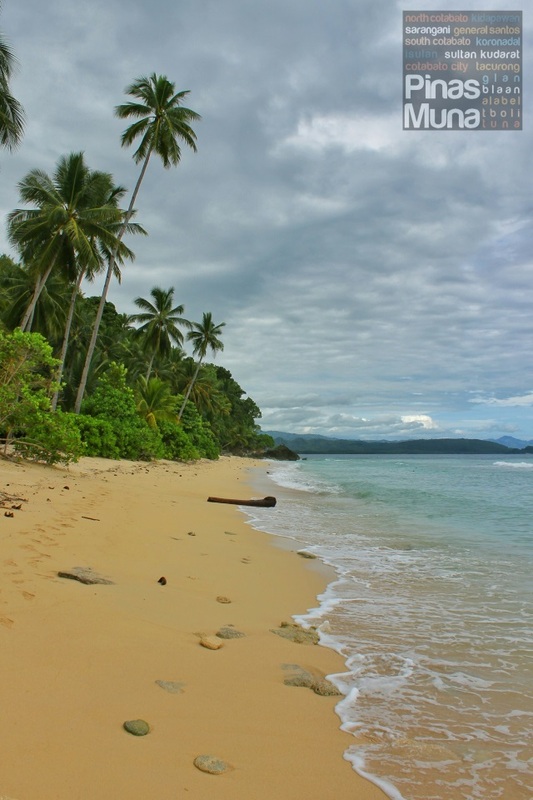 The beach is facing the Celebes Sea and is lined with a couple of small private resorts. During our visit, we chose Isla Jardin del Mar because of the positive reviews we read about the resort's facilities and the unmatched hospitality of the resort's staff. We opted for a day visit only since we had appointments in General Santos City that evening. From Glan town proper, we flagged down a tricycle for a round trip transfer to Isla Jardin del Mar. The tricycle ride took around 15 minutes only. After paying an entrance fee of P50.00 per person, we had access to the resorts 700 meters of white sand beach. We didn't encounter any hassles at all. The staff was also very welcoming. The resort had a number of guests that day, mostly teachers attending a DepEd conference held at the resort, so we had the beach virtually to ourselves during our visit. The enjoyed swimming in its clean and cool turquoise waters. The sand quality is definitely not the whitest and finest we've ever seen, but the sand at Isla Jardin del Mar is much better than many beaches we have visited in the Philippines. The area was generally clean with some patches scattered with rocks. The southern end of the beach has boulders of rocks with a concrete pathway constructed for the guests to enjoy a scenic view of Sarangani Bay. We ended our short visit to Gumasa Beach with a sumptuous lunch at the resort's restaurant. We ordered this very affordable pinakbet made with the freshest vegetables. We will surely revisit Gumasa Beach on our next trip to General Santos, and we would perhaps stay for a night or two at Isla Jardin del Mar. Several airlines serve daily flights from key cities in the Philippines to General Santos City (Gensan), the gateway to Sarangani province. From General Santos City, take a van at KCC Mall transport terminal bound for Glan (P85.00). The 1.5 hr drive will take you to E. Alegado Transport Station in Glan. From there, you can take a single motorcycle (habal-habal) or a tricycle (P60.00-P100.00 per way). For day visits, we recommend that you flag down a habal-habal or tricycle for a round-trip transfer. The driver will either wait for you or will pick you up at an agreed time. For your trip back to Gensan, make sure to be at the van terminal in Glan by 4:00pm to make it to the last trip. You might want to make a quick stop at the Sarangani Provincial Capitol located at Alabel town (right before you reach General Santos City). Just tell the van driver to drop you off at the capitol. There are multicabs at the back of the capitol bound for Gensan.